On Friday, Oct. 2, Pulitzer Prize-winning journalist and author of number a non-fiction works, Edward Humes, came to Tech to talk about his book, “Garbology,” a revelatory piece on our unwittingly detrimental relationship with trash. 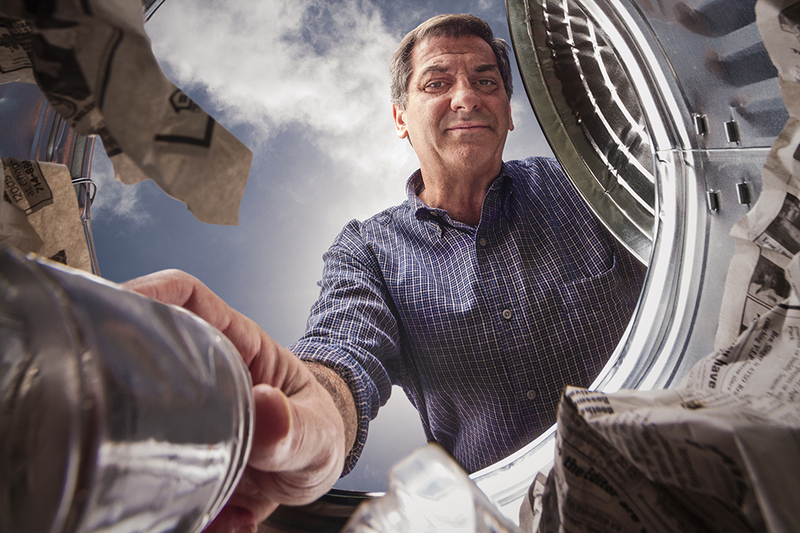 Through his book, Humes reveals the reality of the world’s trash crisis and how humans may be able to redeem themselves — or at least improve their current situation. At Tech, Humes engaged in discussion with students about Garbology and the book’s major themes, touching upon the multiple advantages of waste efficiency, the fight for national (and worldwide) support for promoting a waste efficient lifestyle and viewing sustainable living as a source for positive results rather than a limit. Humes was inspired to write Garbology by a preceding literary endeavor about an unlikely pair who worked to make Walmart, a popular and seemingly wasteful corporation, sustainable. For these larger companies, incentive for waste efficiency did not entirely come from sustainable motives. “[Walmart] was a company that was justly criticized for their business practices, but in the case of waste production, they have been doing some amazing work in the last few years,” Humes said. “They call it their sustainability program, for stripping waste and inefficiency for their business, and it just so happens that it aligns with things that are good for the environment — using less energy and less materials, which in turn shrinks the amount of fuel you need to ship products.” With an economic motive to cut down on waste, Walmart was able to cut their landfill by 80 percent in five years, significant progress for such a large corporation. Humes further explored sustainable endeavors like recycling for practical and artistic use by making trash profitable. “Instead of using sustainability as a limit, you’re using it as a way of achieving a positive result,” Humes said. Humes hopes that the one idea that students will take away from reading Garbology is that anybody can make an impact on promoting waste efficiency. “I hope that the takeaway — and I’d be satisfied if this is all students take away — is the idea that waste is the one really big environmental, social and economic issue that anybody can do something about and have it pay off for them in a multitude of ways.” Tackling waste is something that communities like our campus, among many others, can achieve, not just 40 years down the line, but right now. A previous version of this article stated quoted Edward Humes saying that Walmart was unjustly criticized. Mr. Humes actually said that Walmart was Justly criticized.